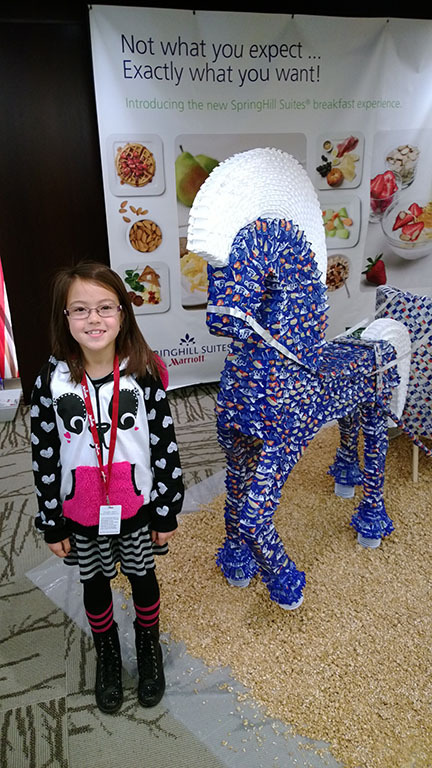 Invitational Event featuring art works made from Dannon yogurt cups and Kashi cereals and Kashi cups - Think & Wonder Inc "A Place Where Creativity Can Grow!" The launch of SpringHill Suites new breakfast menu in partnership with Dannon Greek Yogurt and Kashi Cereal; Marriott International challenged us to create one of kind works of art using the partner's product as an art medium. 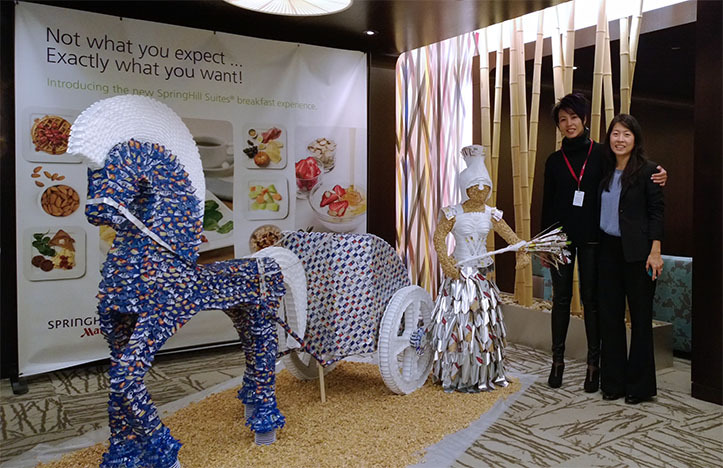 After 303 hours of labor, we're able to delivered to Marriott International Headquarter in Bethesda, Maryland the completed Horse & Chariot made of Dannon cups and foil lids; along with Demeter - Greek goddess of harvest & agriculture - made of Kashi cereal, cups, foil lids, and cup labels. The reveal event was held on October 30, 2013 from 9am - 11am at Marriott International Headquarter in Bethesda, MD. Take a looky-loo inside the event...and relive the moment with us! 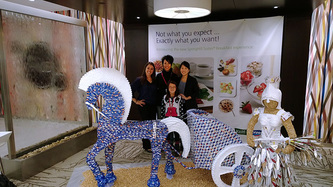 The making of Horse & Chariot and Demeter; and scenes from the reveal event. HIGHLIGHTS: A city with an abundance of history, culture, and arts...our nation's capital - Washington DC.